G diminished again. This time, we’re trying to use open strings. 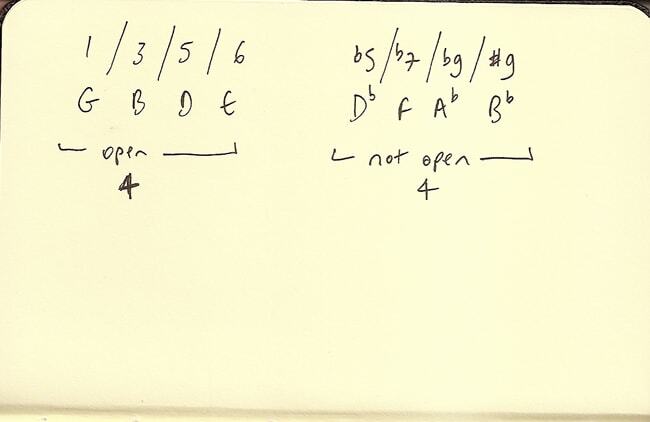 Four notes are open strings; four notes aren’t. Notice the Tritone relationships between the chords. Can you create some chords using these ideas? Can you use the semitone thing and invent a little lick that describes the sound of a 13b9 chord? Can you find something using those ideas and share it here?